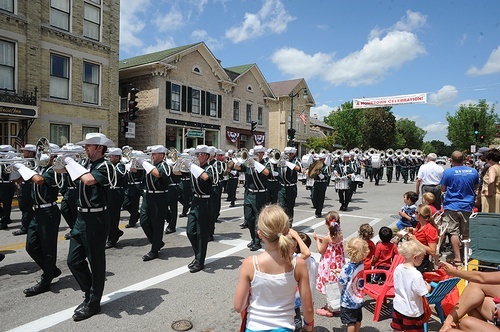 Cedarburg's annual 4th of July Hometown Celebration will take place on Wednesday, July 4. 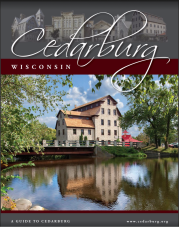 Ranked as the largest celebration of its kind in southeastern Wisconsin and coordinated by the Cedarburg Chamber of Commerce, this spectacle draws an estimated 10-15,000 spectators to the downtown Cedarburg Historic District. The roughly two-hour parade, noted for showcasing award-winning Division 1 drum & bugle corps, will start at 10am, followed by an all-day picnic in Cedar Creek Park, live music and a firework display at dusk. followed by daylong picnic in the park, with food and beverages served by the Cedarburg Lions Club. Click here for parade registration form. ALL PAPERWORK MUST BE FILLED OUT AND RECEIVED BY THE CEDARBURG CHAMBER OF COMMERCE IN ORDER TO BE ACCEPTED. TO PAY ONLINE, CLICK "REGISTER HERE" LINK ABOVE.